A woman dressed in a traditional Sudanese thobe walks out of Courtroom I of the International Criminal Court on 6 July 2017, having heard the decision of Pre-Trial Chamber II on the Situation in Darfur, Sudan – In the Case of the Prosecutor v. Omar Ahmad Al-Bashir. Shaking her head slightly, she has a look of disbelief, visibly upset. She is a Darfur victim, having moved to the Netherlands several years ago. Next to her is a smartly dressed gentleman, obviously someone important – or at least his appearance would so suggest: gold-rimmed round glasses, bespoke summer suit, crisp white shirt, with a stylish Montblanc pen visibly displayed in the pocket of his contrasting vest, glimpses of his tastefully matching Montblanc cuff links and Orbis Terrarum pocket watch, casually knotted bow tie, holding a white Panama hat of definite high quality, and a mahogany handled umbrella – probably an affectation but then one can never be too prepared in The Hague no matter the time of the year. Suddenly, without the slightest trace of ambivalence, the woman turns to the gentleman and asks: What just happened? I thought I heard the Judges find that South Africa failed to comply with its obligation to arrest Al-Bashir but then said there was no need to do anything about it? If that’s the case, what’s the point of all of this? I thought the United Nations Security Council (UNSC) referred Al-Bashir to the International Criminal Court (ICC)? If there is an arrest warrant out for him, how can he have immunity? And if South Africa signed on to the ICC, why is it not cooperating? I don’t get all this stuff about South Africa having to consult with the ICC to figure out the obligations it agreed to under the Rome Statute. With a mischievous smile, the gentleman, as if he had been waiting to strike up a conversation, for someone to engage him for his views, responded: Interesting questions madam, interesting indeed. I might be able to answer you, but I’m afraid it may take a bit of time, perhaps more than you may now have. As simple as your questions may seem, they venture into the complex, and might I add, somewhat murky area of international law, where what may seem to be obvious just may be what it seems, but not necessarily. As an international legal scholar and a former diplomat, I’m not entirely sure I always know what the law is. Intrigued, and with a sense of relief, she asked, if you have some time perhaps we can have a coffee or tea at the coffee shop by the atrium. I would very much like to hear your views on this decision. He accepted. I’ll try not to bore you or inundate you with too many legal nuances, and I promise to refrain from using Latin terms and phrases that we scholars and diplomats are so fond of. I should note however, for the sake of time, not to mention the legal vagaries of this matter concerning South Africa, I will need to simplify and gloss over some of the finer points of what the law is or is perceived to be. I will need to give up some things. In simplifying and reducing some of the legal principles and nuances, there is always the danger of conveying a false impression, but I wouldn’t worry about it. So, shall we? And so, their conversation began. International Legal Scholar (ILS): Maybe I should begin by clarifying a few things. To start with, the UNSC did not actually refer Al-Bashir to the ICC. It referred Sudan. The purpose being for the ICC Prosecutor to examine the situation in Darfur, and, if appropriate, take whatever steps she considers necessary – at least so it seems when reading Resolution 1593 (2005). Sudan and the other parties to the Darfur conflict were instructed to “cooperate fully and provide any necessary assistance to the [ICC] and the [ICC] Prosecutor.” I am emphasizing “cooperate fully” because as we will see, these two words that may seem unambiguous are claimed to be anything but – depending on the circumstances. Since Sudan has not signed the Rome Statute, it does not come under the ICC’s jurisdiction. That changed, of course, once the UNSC referred the Darfur Situation to the ICC. So, technically, Al-Bashir was not referred to the ICC. But let’s face it, as the Head of State of Sudan, for all intents and purposes, Al-Bashir was the target, assuming the evidence suggested that acts of genocide and crimes against humanity were taking place in Sudan under his watch. Darfur Victim (DV): Technicalities aside, Al-Bashir has been charged, so where is the dilemma? ILS: Well, technically he has, and has not, been charged. Before we can say that someone has been charged – as in being indicted – there is this procedure called a confirmation process, much like a pre-preliminary or committal hearing in some common law systems. The charged person needs to be present and he or she is afforded an opportunity to challenge the Prosecutor’s evidence and to present evidence. So, being initially charged does not automatically mean that the Prosecutor has enough evidence to convince the Pre-Trial Chamber that it should confirm the charges (as in indicting the charged person) for the case to proceed to trial and so on. A technicality – but as technicalities go and for our discussion – it matters not; Al-Bashir was required to appear before the ICC. DV: But I thought the UNSC instructed Sudan to cooperate fully; does this not impose an obligation on Sudan to turn over Al-Bashir? ILS: Well, yes, but not necessarily. ILS: So it seems. As explanations go, what does “cooperate fully” mean? It may seem obvious – at least to anyone interpreting the words for what they mean. But “fully” does not necessarily mean “fully” as in doing everything possible; not, at least, in the context of Resolution 1593. ILS: What I mean is how Resolution 1593 was drafted, what it says or does not say, what the members of the UNSC had in mind, their intentions, when they drafted it; stuff like that. I guess you could even say that the UNSC’s actions, or, better yet, inaction in following up on Resolution 1593, are part of, or an expression of, the context in which it is being interpreted. DV: I don’t follow. How can “fully” mean something like “partially” or “depending on circumstances”? Who then determines when “fully” means what everyone understands the word to mean, and when it means something else? ILS: I am not sure I can explain this better other than to say when it comes to these sorts of words, the ordinary and most logical meaning does not always follow when international lawyers, diplomats, or judges interpret them, especially, as in the Darfur context, if the obvious and ordinary meaning could result in Heads of State finding themselves in the dock of some international tribunal or court. 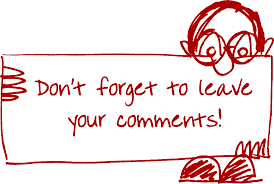 DV: I don’t get why immunity is so, so important. DV: If I understand correctly, what you are saying is that if Al-Bashir were to be turned over to the ICC, even if he invokes immunity, it would likely not matter. ILS: I would say that’s about right. Getting him there, however, is another story. DV: Sounds like this might explain why the South African government surreptitiously escorted Al-Bashir out of South Africa before having him detained. ILS: Likely. And from what we now know of the South African Supreme Court decision – Al-Bashir most likely, though not necessarily, would have been turned over to the ICC, had he been detained. DV: I’m confused. If the UNSC referred the Darfur Situation to the ICC, and if it instructed Sudan to cooperate fully, then does it not follow that the UNSC effectively determined that were the ICC to charge Al-Bashir, he would suffer the loss of his immunity? ILS: It would seem so, but not necessarily. Resolution 1593 makes no explicit reference to the lifting of Al-Bashir’s immunity. We can imply that Resolution 1593 calls for this lifting but this is something – and most seem to agree on this – that needs to be explicitly stated by the UNSC in Resolution 1593. DV: So why wasn’t it? ILC: Mind you, and this may be the tripwire to the answer, the UNSC had numerous opportunities to clarify its intent behind Resolution 1593. It could have also issued another resolution explicitly stripping Al-Bashir of his immunity. Certainly, this failure to act by the UNSC cannot be overlooked when trying to decipher its intent on the issue of immunity. DV: I guess this is part of that context you were talking about? ILS: Precisely. And this context tells us that if the UNSC wanted Al-Bashir’s immunity to be lifted to give some bite and not just bark to Resolution 1593, it would have explicitly stated it. It did not, because – and here is where I am willing to go out on a limb and speculate – some permanent members of the UNSC would not agree to issuing a resolution that stripped a sitting Head of State of his or her immunity. DV: What about South Africa? As a Member State having signed the Rome Statute, was it not obligated to assist in having Al-Bashir arrested? ILS: It seems yes, but this is not necessarily conclusive, especially if South Africa thought in doing so it might be violating international law. ILS: The Pre-Trial Chamber’s three decisions may shed some light, but there does not seem to be one definitive answer either by the Pre-Trial Chamber II or amongst many of my fellow scholars. Without getting too technical, let’s see how this issue has been decided. DV: What do you mean three decisions? ILS: There were two previous instances where the issue of immunity came up concerning Al-Bashir. No need to get into details of the facts. The Pre-Trial Chamber II essentially concluded in an earlier decision that the UNSC referral to the ICC implicitly lifted Al-Bashir’s immunity, thus removing all impediments to his arrest, especially by Member States who have signed the Rome Statute. This is not what the Pre-Trial Chamber I had concluded in an even earlier decision, where its reasoning was anchored on customary international law. Three decisions, three different reasonings, none of which we can say is more controlling than the other since all are from the Pre-Trial Chambers. DV: What about today’s decision; it seems two Judges found that the UNSC turned Sudan into a Member State of the ICC when it comes to Darfur. If so, South Africa as a Member State would have had no choice but to turn over Al-Bashir to the ICC, even if he was a guest at the 25th African Union Summit, hosted by South Africa. ILS: So claim the two Judges, but not necessarily. Mind you, again, the Presiding Judge in today’s decision, Judge Cuno Tarfusser, sat on the previous two decisions where this new theory (I guess we can refer to it as a theory) of his and Judge Chang-ho Chung did not feature. It happens from time to time that judges change their reasoning on the same issue, especially when facts change. But in reaching today’s decision, there were no new facts or circumstances. Is this theory a bit of a stretch, a bridge too far? Perhaps. DV: But it makes logical sense? ICL: Perhaps, but we are not dealing with logic or even common sense. Nor does it seem that the UNSC intended Resolution 1593 to be interpreted in this way. ICL: Think about it. Sudan did not sign the Rome Statute, just as the United States, Russia, China, and others did not. It is a stretch, absent any explicit language, to conclude that the UNSC made Sudan a limited beneficiary or liability partner of the ICC. Neither conventional nor customary international law seem to support the proposition that the UNSC can bind Sudan, a non-ICC Member State, to the obligations undertaken by ICC Member States that purposefully entered into the Rome Statute just so Al-Bashir can be stripped of his immunity. DV: I am not sure I follow. ILS: Let me put it this way, there seem to be no international legal instruments such as treaties, statutes, written laws, or unwritten laws widely accepted by states and expected to be abided by, that support the proposition that the UNSC can turn a non-ICC Member State into an ICC Member State. Granted, it is an alluring legal proposition, and it certainly does the trick in overcoming the obvious obstacles related to Al-Bashir’s immunity, but judges are not entitled to contort legal reasoning for the sake of convenience. If this new interpretation is so conclusive, then why the shifting and divergent reasoning in all three decisions? DV: But it does make sense. If a non-ICC Member State is referred to the ICC by the UNSC, the ICC should treat that State for all intents and purposes just as it would treat an ICC Member State. Since the UNSC can refer a State to the ICC, why can it not bind the non-ICC Member State to the will of the ICC? Sounds like this is a good way to further international criminal justice. ILS: That is one way of looking at it. Another would be that this new theory has the whiff of result-determinism. Having a result in mind, the two Judges went about conceiving this theory that would lead to a creative, plausible, and satisfying solution. This theory – obvious, as the two Judges would have us believe – was not relied upon or even hinted at in the previous two decisions. Even more interesting is the fact that one Judge, Judge Marc Perrin de Brichambaut, in a very lucid and persuasive separate opinion, dispenses with this theory as one would meticulously unpeel an onion, layer by layer, showing, with solid sources and sharp reasoning, that analogizing Sudan to a State Party to the Rome Statute by virtue of UNSC Resolution 1593 is unconvincing and unsound. DV: But does it really matter, especially if the result is a positive one? ILS: I would say it does matter, even though it may not seem fair to the victims of Darfur. DV: What about the separate opinion, especially the part about Al-Bashir forfeiting his immunity because of being charged with genocide? It makes sense that since Sudan and South Africa are both signatories to the Genocide Convention, and since the Genocide Convention imposes certain obligations on states that have ratified it, South Africa has an unreserved duty to arrest and turn over Al-Bashir to the ICC. ILS: Excellent point. The separate opinion overall is sound and solid. I think it was silly for the two Judges to sort of pooh-pooh the genocide reasoning. It seems once they locked in to their theory, they saw no profit in engaging with Judge Brichambaut on his reasoning related to the Genocide Convention. I would have at least expected an intellectual debate and a thorough and transparent analysis, much in the way Judge Brichambaut did in dissecting and dispensing with the two Judges’ decision. BV: So what is your view on using the Genocide Convention to strip Al-Bashir of his immunity and South Africa’s obligation to arrest and deliver Al-Bashir to the ICC? ILS: I find the reasoning excellent and compelling. It does however make you wonder, what if Al-Bashir was merely – and there is no such thing as merely – charged with extermination and other mass atrocities, and not with genocide, how would Judge Brichambaut reconcile his reasoning? In any event, this separate opinion is a delight; it is well-structured and well-reasoned much like a law review article we academics would write. It certainly shows just how complex these issues are, just how many counter-arguments are available, and how malleable – and political, might I add – international law and international justice can be. DV: Fair enough. Thanks for the insight, but you do not exactly paint an attractive picture for victims such as myself. The weak must continue to suffer while the rest of you – scholars, diplomats, judges, and, let’s not forget, the high-minded members of the UNSC – try to find a consensus on what the law is. And then, even if you all agree on what the law is, there is no telling if it will be enforced. If you are having difficulty figuring out what “cooperate fully” means, I hesitate to imagine that a day will come when Heads of State, like Al-Bashir, cannot hide behind immunity. ILS: International law works in circuitous and even contradictory ways. It is what it is, or what judges, international organizations, states, and scholars may think it is, but generally, there is a rational basis behind international law even if it does not always reveal itself. DV: I’m disappointed and frustrated. How can I not be? The UNSC refers the matter to the ICC Prosecutor, thus mandating her office to consider the Darfur Situation and act accordingly. It requests or instructs Sudan to cooperate fully. It charges Al-Bashir, only to be ignored by Sudan and stifled by other states, including Member States who have agreed to support the efforts and comply with the decisions of the ICC. And then the UNSC does nothing when there is non-compliance with its own Resolution. Nothing! So why bother? ILS: You just explained why the Pre-Trial Chamber II chose not to refer South Africa to the Assembly of States Parties or the UNSC. Some may call it pragmatic, politically sound, maybe even far-sighted. DV: What infuriates me is the disingenuousness of the Judges’ reasoning for not referring South Africa to the UNSC. It can hardly be said that South Africa cooperated or will cooperate in the future. ILS: You have a point. South Africa knew as of 2009 when Al-Bashir was invited to attend President Jacob Zuma’s inauguration that it had an obligation to arrest Al-Bashir and turn him over to the ICC if he set foot in South Africa. It did not need to consult with the ICC on the eve of Al-Bashir’s trip to South Africa. DV: Did South Africa, as claimed by the Prosecutor, try to put up obstacles to arresting Al-Bashir by consulting the ICC on the eve of Al-Bashir’s visit, essentially pretending not to know of its obligations? ILS: Appearance-wise, most likely, but not necessarily. South Africa availed itself of the statutory provisions and rules, as it was entitled to do. 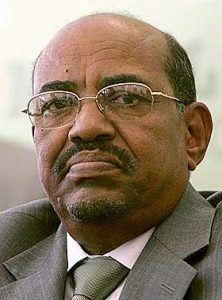 It saw an opening and cleverly took the opportunity to effectively set up well-reasoned arguments as to why it needed to consult the ICC, most likely, I would hazard to guess, because it already decided that it would not execute the arrest warrant against Al-Bashir. It was creating plausible deniability of non-compliance, setting itself up – again, this is mere conjecture – for the day it most likely would have to account for its non-compliance, to face the music for disrespecting the ICC. DV: So South Africa acted in contempt of a court decision? ILS: I am inclined to say yes. South Africa was probably biding its time to when it would make a move to withdraw from the ICC. ILS: Well, on 12 June 2015, South Africa requested the consultation meeting and was immediately told in clear terms that the consultations it requested did not suspend South Africa’s obligations to cooperate with the ICC and arrest Al-Bashir should he set foot in South Africa. This was echoed the following day, when the Prosecutor filed an urgent request for a clarification order after she learned that despite the warning provided during the consultations the day before, Al-Bashir had landed in South Africa and had not been arrested. I guess, South Africa felt it had nothing to lose. ILS: It is rather obvious if you put things in perspective. South Africa was betting – and now it seems their bet paid off – that neither the Assembly of States Parties nor the UNSC would do anything, for different reasons. There was already an insurrection among African States, threatening to withdraw over charging and prosecuting sitting Heads of State, so the Assembly of States Parties was already treading lightly. And don’t forget that in 2014 the African Union approved immunity for government officials before African Courts, something it believes should extend to the ICC. As for the UNSC, with it doing literally nothing to back up the non-compliance of Resolution 1593, not to mention its virtual total inaction in relation to the Darfur Situation, it was hardly going to take the moral high ground. Several permanent members of the UNSC are utterly against taking on an issue where it might cause them to give aid and comfort to any discussion of the exceptions to immunity for Heads of State. DV: If you ask me, sounds like they need to take the international out of justice. Where I am standing, international justice is more of a cliché, a sound bite: all sound, no bite. ILS: I’m not following you, what do you mean by “take the international out of justice”? One has nothing to do with the other, unless you combine the two, which then gives us international justice. DV: Well, maybe I’m not expressing myself well enough. It seems that when you use the word “international” one assumes something higher, better quality, more protective. Combining the two concepts together to get “international justice” seems to be more of an illusion. So I guess when I say it makes sense to take the international out of justice, I mean separate the two, because the international part seems to get in the way – at least this is how it feels to the victims. ILS: I see your point, interesting. But then where would we be? National justice, if we can call it that, is often absent or inaccessible in places where mass atrocities occur. Even if there is access to courts, if the rule of law is non-existent, there is no justice. So what is the alternative? International justice – as imperfect, slow, and disappointing it may be or seem. DV: Tell that to the victims. Either way, they lose. ILS: Anyway, if it’s worth anything, today’s decision and the separate opinion may have brought the Darfur Situation back into the international spotlight. To have South Africa referred to the UNSC would have been legally correct and not necessarily politically unsound. Politics should not be a factor, but they often are. Personally, I think it was a mistake for the Pre-Trial Chamber II to punt. But once it decided to do so, it should have explicitly noted that it did so because neither the Assembly of States Parties, nor especially the UNSC, has the moral fortitude to act decisively. It is tempting to wonder whether the UNSC drafted Resolution 1593 with deliberate constructive ambiguity to give plausible deniability to any claims of UNSC inaction concerning the Darfur Situation. Just a parting thought. DV: Well, thank you for the tea and sympathy. I guess time will tell if Al-Bashir ever appears in the ICC dock. Absolutely enjoyable… This imaginary story about UN and ICC on immunity is the reality. Only those who ratify the statute will not enjoy their Immunity as leaders. This story is fantastic it shows that international law is all but law. ICL is between IL and criminal law. so it is seems uncertain and depends on Icj Article 38 sources of law In IL. The real problem today is that the rome statute penal codification has cut out from ICL the IL as it was before its establishment. Today the states parties are not allowed to keep their immunity. This is fantastic for victims. The ICC judges and organs tried to reason in a new way of thinking in IL. That is pure criminal law. If the un do not wish to lift the immunity of al bashir So why bother? The UN can choose to adjudicate the case to the universal jurusdiction or create a new un tribunal. At the end of the day i suppose that the UN secretary do not teach the states and non states entities whether they know their rights and obligations. It is urgent to accept that ratifying the statute entails Very stringent duties. In fact this can work only if the ratifying state is able and willing to implement the ICL of the ICC. There is much to learn on this confusing issues. Spending unecessary budget and what is more Terrible is to give victims The hope to see the alledge criminal leaders Trialed before ICC. That is why al bashir will escape from ICC. Absolutely enjoyable… This imaginary story about immunity between the United Nations (UN) and the International Criminal Court (ICC). Yet, this is the reality. Criminal immunity does not apply to leaders belonging to States which have ratified the Rome Statute, while others continue to be above the law. This fantastic story shows that International Law is all but law: International Criminal Law (ICL) is halfway between Public and Criminal Law. With respect to the interpretation of the UN International law, there is no guideline, which means that anyone can bring sources of law suitable to its legal issue. The only requirement is provided in article 38 of International court of justice ICJ. If the UN and AU do not lift the immunity of Al Bashir, then why the ICC should be responsible for it? There is certainly a contentious legal issue which has to do with the lack of an international legal order between communities. It reminds me of the Kady v. ECJ. For the first time in public law, two legal orders struggled to apply its own human rights norms. The UN the EU communities’ state parties are obligated to respect the right to be heard and the right of property. This logic can be applied in the case of lifting the immunity of a state party at the ICC in the case of Al Basher. The question of the primacy of the community rules has not yet been attended in public law. At the end of the day, I assume that the UN Secretary does not teach the States and non-States entities neither about their rights and obligations before the ratification of the Rome Statute, nor about the capacity of States parties to incorporate the International Criminal Law into their legal system. It is urgent to accept that ratifying the Statute entails very stringent duties. In fact this can work only if the ratifying State is able and willing to implement ICL of the ICC in their penal systems. There is much to learn from these confusing issues. That is the reason why the ICC prosecutor does not succeed to get from preliminary examination to trial. Too many preliminary examination openings will be ultra vires decisions, as the prosecutor should have enough serious evidence and the expectation that he is able to secure a trial before taking such a decision. Otherwise, the ICC will not grow and will be limited to deterrence. Too expensive and risky to flood the court with unsuccessful trials. On the other hand, if the opening of preliminary examinations becomes a tool to cooperation and complementarity it will successfully deter States from violating International rules, then it will be fine. The most important to bear in mind is to acquire the right knowledge, to apply it and to promote a common legal order between international communities.